Perennials form a large part of our business at Moraine Gardens. We stock a wide selection spring through fall with varieties to meet all your gardening needs. From primroses and hellebores for some early spring interest to asters and mums for the fall garden, we carry all shapes, sizes, and colors. We have a wide selection of hostas and astilbes for the shady garden and coneflowers and daylilies for the sunny bed. Here at greenhouse we like to keep current with new trends and try new varieties, and therefore our stock is continually changing. Because of this, and the fact that customers and landscapers are constantly in and out during the busy season, we do not keep an detailed list of everything that we carry. However, our knowledgeable nursery staff are ready and willing to answer any questions you may have and help you decide which plants are right for you. So feel free to call us or stop in today to check out everything we have! For a list of our Perennial Grasses, click here. We’ve asked some of our employees to share their favorite perennials with you and tell you a little bit about why they love these plants so much. I love Heucheras – they are hardy, low maintenance, and very versatile. There is a variety for almost any location, from sun to shade. My favorite use is to tuck them in front of and among my hostas and ferns where they add a splash of color all season long. I love Hellebore because they are one of the hardiest perennials I’ve ever grown. 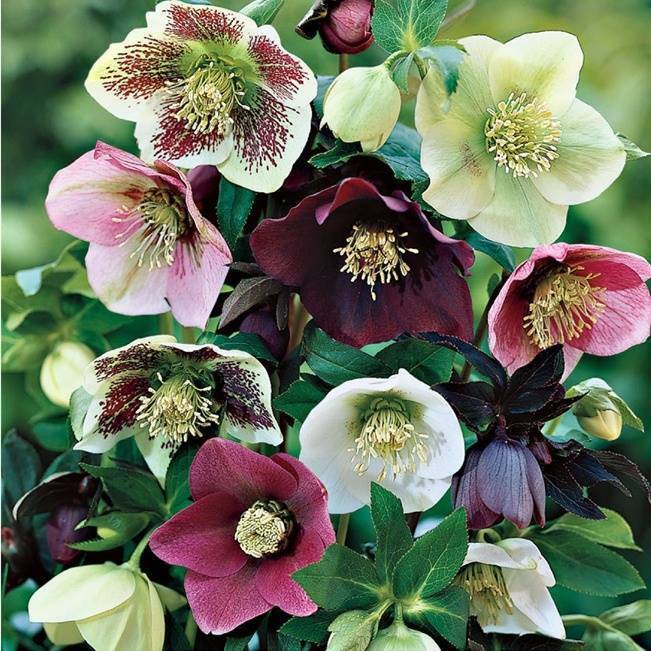 A few summers ago, when it was really hot and dry and everything else in my east border was all dried up and yellow, my Hellebore was the only plant that stayed a rich green color all summer long without any extra watering. This is one of our new plants for this year. Like its much loved relative, the Sweet Autumn Clematis, Sweet Summer Love also possesses that sweet “viola-vanilla” smell that I love so much! Its flowers are also similar to the Sweet Autumn in shape but are slightly larger in size and are a beautiful cranberry-purple color. 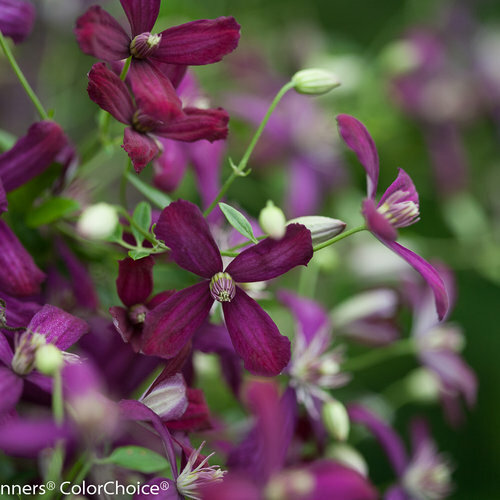 They’re easy to grow and will bloom from July-August with up to 1,000 flowers on a mature plant! I can’t wait to see how this one grows in my own garden!